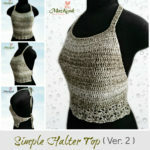 This crochet pattern is simpler than you think, a relaxing crochet project for experienced crocheters. The crochet purple glam shawl is made with soft and light purple cotton yarn, finishing touched with a pink rose brooch for feminine style. Note: I used chainless starting dc for every first dc of each row instead of ch 3. There’s another good crochet technique to use is ch 2, dc into same stitch ( counted as 1st dc). In the pattern below you’ll see I simply state dc for every first dc of each row, so just choose your best technique. 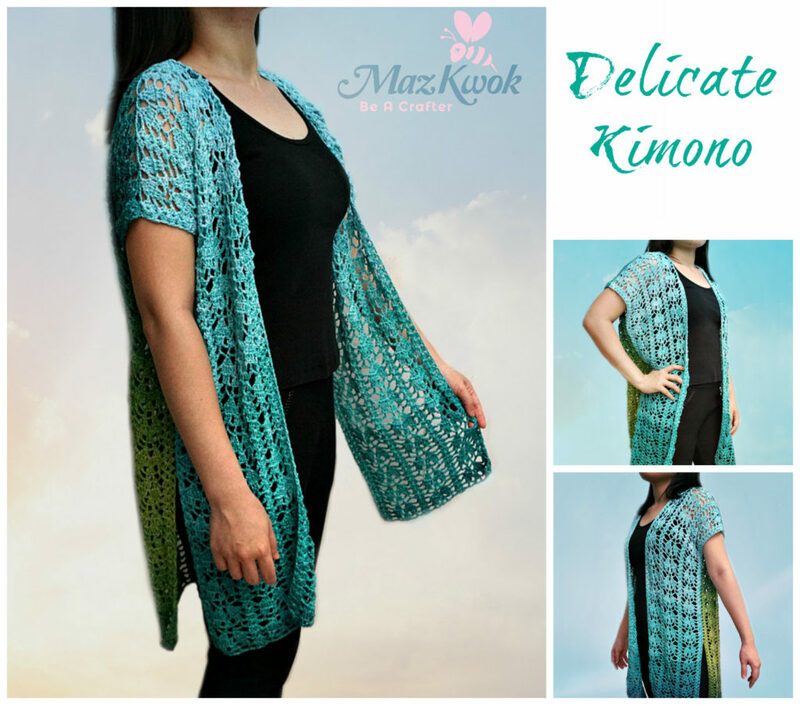 You can add more rows to make a bigger and longer shawl. V stitch: (dc, ch1, dc) into same stitch or space. 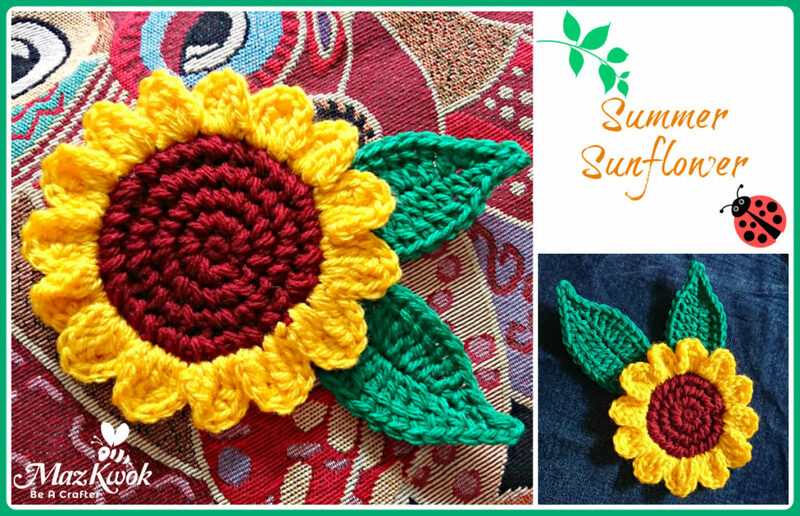 3dc shell stitch: 3 dc into same stitch or space. R2: turn, V stitch into 1st st, ch 2, (V stitch, ch 2, V stitch) into same space, ch 2, V stitch into last st.
R3: turn, 3dc shell stitch into 1 st, ch 2, 3dc shell stitch into next space, ch 2, (3dc shell stitch, ch 2, 3dc shell stitch) into same space, ch 2, 3dc shell stitch, ch 2, 3dc shell stitch into last st.
R4: turn, V stitch into 1st st, ch 2, (V stitch into next space, ch 2) x 2 times, (V stitch, ch 2, V stitch) into same space, (ch 2, V stitch into next space) x 2times, ch 2, V stitch into last st.
R5: turn, 3dc shell stitch into 1st st, ch 2, (3dc shell stitch into next space, ch 2) x 3 times, ( 3dc shell stitch, ch 2, 3dc shell stitch) into same space, (ch 2, 3dc shell stitch into next space) x 3 times, ch 2, 3dc shell stitch into last st.
R6: turn, V stitch into 1st st, ch 2, (V stitch into next space, ch 2) x 4 times, (V stitch, ch 2, V stitch) into same space, (ch 2, V stitch into next space) x 4 times, ch 2, V stitch into last st.
R7: turn, 3dc shell stitch into 1st st, ch 2, (3dc shell stitch into next space, ch 2) x 5 times, ( 3dc shell stitch, ch 2, 3dc shell stitch) into same space, (ch 2, 3dc shell stitch into next space) x 5 times, ch 2, 3dc shell stitch into last st.
R8: turn, V stitch into 1st st, ch 2, (V stitch into next space, ch 2) x 6 times, (V stitch, ch 2, V stitch) into same space, (ch 2, V stitch into next space) x 6 times, ch 2, V stitch into last st.
R9: turn, 3dc shell stitch into 1st st, ch 2, (3dc shell stitch into next space, ch 2) x 7 times, ( 3dc shell stitch, ch 2, 3dc shell stitch) into same space, (ch 2, 3dc shell stitch into next space) x 7 times, ch 2, 3dc shell stitch into last st.
R10: turn, V stitch into 1st st, ch 2, (V stitch into next space, ch 2) x 8 times, (V stitch, ch 2, V stitch) into same space, (ch 2, V stitch into next space) x 8 times, ch 2, V stitch into last st.
R11: turn, 3dc shell stitch into 1st st, ch 2, (3dc shell stitch into next space, ch 2) x 9 times, ( 3dc shell stitch, ch 2, 3dc shell stitch) into same space, (ch 2, 3dc shell stitch into next space) x 9 times, ch 2, 3dc shell stitch into last st.
R12: turn, V stitch into 1st st, ch 2, (V stitch into next space, ch 2) x 10 times, (V stitch, ch 2, V stitch) into same space, (ch 2, V stitch into next space) x 10 times, ch 2, V stitch into last st.
R13: turn, 3dc shell stitch into 1st st, ch 2, (3dc shell stitch into next space, ch 2) x 11 times, ( 3dc shell stitch, ch 2, 3dc shell stitch) into same space, (ch 2, 3dc shell stitch into next space) x 11 times, ch 2, 3dc shell stitch into last st.
R14: turn, V stitch into 1st st, ch 2, (V stitch into next space, ch 2) x 12 times, (V stitch, ch 2, V stitch) into same space, (ch 2, V stitch into next space) x 12 times, ch 2, V stitch into last st.
R15: turn, 3dc shell stitch into 1st st, ch 2, (3dc shell stitch into next space, ch 2) x 13 times, ( 3dc shell stitch, ch 2, 3dc shell stitch) into same space, (ch 2, 3dc shell stitch into next space) x 13 times, ch 2, 3dc shell stitch into last st.
R16: turn, V stitch into 1st st, ch 2, (V stitch into next space, ch 2) x 14 times, (V stitch, ch 2, V stitch) into same space, (ch 2, V stitch into next space) x 14 times, ch 2, V stitch into last st.
R17: turn, 3dc shell stitch into 1st st, ch 2, (3dc shell stitch into next space, ch 2) x 15 times, ( 3dc shell stitch, ch 2, 3dc shell stitch) into same space, (ch 2, 3dc shell stitch into next space) x 15 times, ch 2, 3dc shell stitch into last st.
R18: turn, V stitch into 1st st, ch 2, (V stitch into next space, ch 2) x 16 times, (V stitch, ch 2, V stitch) into same space, (ch 2, V stitch into next space) x 16 times, ch 2, V stitch into last st.
R19: turn, 3dc shell stitch into 1st st, ch 2, (3dc shell stitch into next space, ch 2) x 17 times, ( 3dc shell stitch, ch 2, 3dc shell stitch) into same space, (ch 2, 3dc shell stitch into next space) x 17 times, ch 2, 3dc shell stitch into last st.
R20: turn, V stitch into 1st st, ch 2, (V stitch into next space, ch 2) x 18 times, (V stitch, ch 2, V stitch) into same space, (ch 2, V stitch into next space) x 18 times, ch 2, V stitch into last st.
R21: turn, 3dc shell stitch into 1st st, ch 2, (3dc shell stitch into next space, ch 2) x 19 times, ( 3dc shell stitch, ch 2, 3dc shell stitch) into same space, (ch 2, 3dc shell stitch into next space) x 19 times, ch 2, 3dc shell stitch into last st.
R22: turn, V stitch into 1st st, ch 2, (V stitch into next space, ch 2) x 20 times, (V stitch, ch 2, V stitch) into same space, (ch 2, V stitch into next space) x 20 times, ch 2, V stitch into last st.
R23: turn, 3dc shell stitch into 1st st, ch 2, (3dc shell stitch into next space, ch 2) x 21 times, ( 3dc shell stitch, ch 2, 3dc shell stitch) into same space, (ch 2, 3dc shell stitch into next space) x 21 times, ch 2, 3dc shell stitch into last st.
R24: turn, V stitch into 1st st, ch 2, (V stitch into next space, ch 2) x 22 times, (V stitch, ch 2, V stitch) into same space, (ch 2, V stitch into next space) x 22 times, ch 2, V stitch into last st.
R25: turn, 3dc shell stitch into 1st st, ch 2, (3dc shell stitch into next space, ch 2) x 23 times, ( 3dc shell stitch, ch 2, 3dc shell stitch) into same space, (ch 2, 3dc shell stitch into next space) x 23 times, ch 2, 3dc shell stitch into last st.
R26: turn, V stitch into 1st st, ch 2, (V stitch into next space, ch 2) x 24 times, (V stitch, ch 2, V stitch) into same space, (ch 2, V stitch into next space) x 24 times, ch 2, V stitch into last st.
R27: turn, 3dc shell stitch into 1st st, ch 2, (3dc shell stitch into next space, ch 2) x 25 times, ( 3dc shell stitch, ch 2, 3dc shell stitch) into same space, (ch 2, 3dc shell stitch into next space) x 25 times, ch 2, 3dc shell stitch into last st.
R28: turn, V stitch into 1st st, ch 2, (V stitch into next space, ch 2) x 26 times, (V stitch, ch 2, V stitch) into same space, (ch 2, V stitch into next space) x 26 times, ch 2, V stitch into last st.
R29: turn, 3dc shell stitch into 1st st, ch 2, (3dc shell stitch into next space, ch 2) x 27 times, ( 3dc shell stitch, ch 2, 3dc shell stitch) into same space, (ch 2, 3dc shell stitch into next space) x 27 times, ch 2, 3dc shell stitch into last st.
R30: turn, V stitch into 1st st, ch 2, (V stitch into next space, ch 2) x 28 times, (V stitch, ch 2, V stitch) into same space, (ch 2, V stitch into next space) x 28 times, ch 2, V stitch into last st. Attach rose to brooch pin. 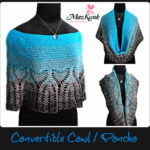 This is a very pretty shawl! But I am very confused. Can someone help me with some questions I have? 2) how many spaces do you skip between the v stitches and the 3dc shell stitch? The magic ring is started in the middle of neckline. Stitches are worked into the ch2-space between the V stitch and 3dc shell stitch. That makes much more sense foot me! Thank you so much! I hope mine turns out as beautiful as yours! I love the shawl. I made it in about 3 days. working on it in my spare time. 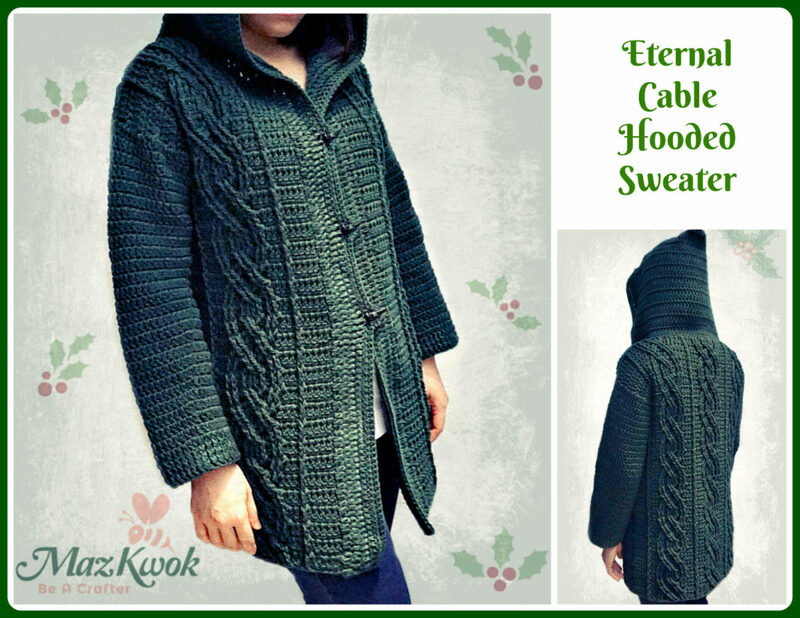 Pingback: Hookin On Hump Day #81: Link Party for Crochet and Knitting! That is so nice looking! Purple is one of my favourite colours too. Thanks for the pattern. Beautiful! 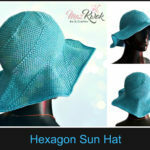 I love the color, style and the simplicity of the stitches. 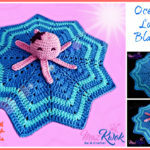 The shawl looks so lovely and is a project any skill level in crochet could complete and be proud of. 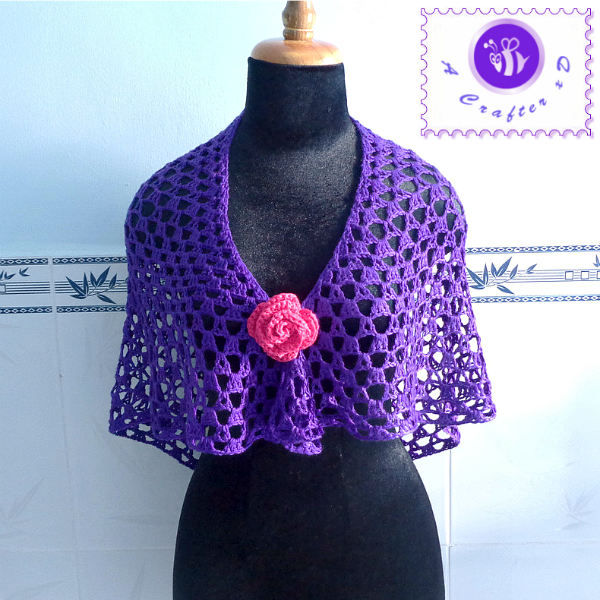 Thanks for sharing the pattern for your crochet purple glam shawl! 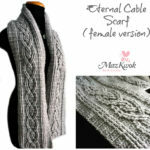 Hi Maz, Your shawl is so pretty and versatile. Thanks for sharing the pattern. 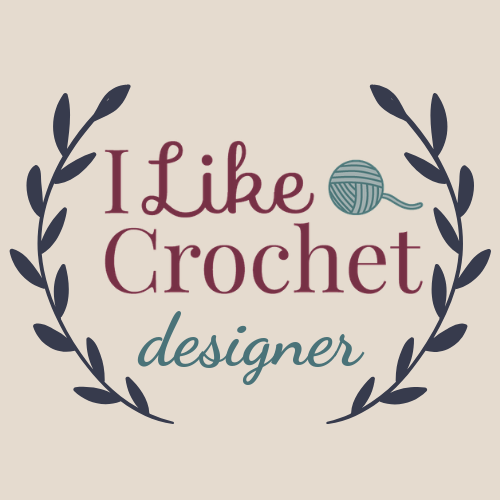 I pinned, and tweeted and….